Home Hardware Battery How to Fix Laptop’s “Plugged in Not Charging” Problem? Having a laptop is like a pet, once in a while it does get sick and now it’s on us to choose, that we need to try some home remedies or just go to the doctor (engineer, what I say). Usually, the first option is the only one we prefer most, to get rid of the sickness. That’s why we especially dig the internet to look for a perfect solution which matches our situation. So for this error treatment, you really don’t need to get depressed, because “Plugged in not charging” is a same old Windows OS Error and sometimes can be fixed, quickly as a wink. Generally, the problem is coming from the OS side, but if you are really running out of your luck. Then it’s surely possible that the problem relates to some major hardware and you’ll have to send your laptop to the repair shop. This problem can make your laptop to suffer from lack of charging or just providing you the bad battery backups. You can notice that sometimes the error can also turn off your charging light too, or can make it flicker like a twinkling star. 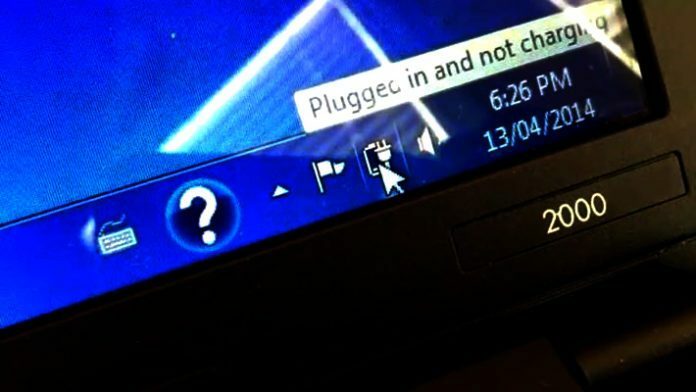 Often the charging light may appear, even though your computer won’t charge the battery and displays the error message like “0% available (Plugged In, Not Charging)” or any other frozen digit. Anything’s feasible with this error, even when you are using a 2000 dollar laptop. I know, that sometimes the life gets even worse. But as we say ‘If life deals you lemons, make lemonade’. 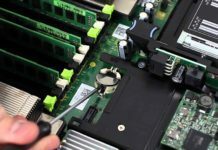 To peacefully troubleshoot your laptop, there are a lot of different steps what you’ll need to follow in order to find the actual problem. Moreover, I don’t think you should really need to worry about it because this article covers all the handy solutions that you can try even when you are not a professional. Tip: The procedure is still the same, even if the error came along with the use of a new charger or battery. There are mainly four common reasons for this error to be on your laptop’s screen. Blaming any particular one is like finding the naughtiest in quad babies. You just can’t tell who did what. That’s how the only way to find the core of this dilemma is by looking over all the complications that your laptop has recently gone through. To do that, the first thing I prefer is to check your ‘Windows’, second the ‘Charger’, third the ‘Battery’ and if, it’s really the hard time of yours, then it might be possible that the ‘Charging circuit of your laptop got blown up’ too. Most of you will fix your laptop by pursuing the first step of this troubleshooting guide. I’m only delighting you because there is 95% of chance that the error is occurring due to corrupted Power Adapter Drivers of your Windows OS. ACPI stands for “Advanced Configuration and Power Interface”. 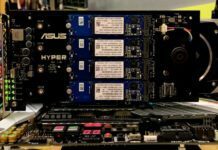 The actual work of ACPI is to maintain your laptop’s charging services, but once in a while, it does corrupt, when you didn’t take good care of your Operating System. Certain errors only arise when you carelessly download anything from the internet, mostly when you’re looking for some free stuff. Good advice is always being ignored, but that’s not a reason to give it. Always be polite to your PC, or otherwise, it will mess you up big time. In concern of Drivers matter, uninstalling it is a long shot approach to fix the problem instantly. The best part is, on the next system restart, you actually don’t need to re-install the drivers back because your OS will automatically do it for you. First, you should completely turn off your laptop (not to put it in sleep or hibernation). Then turn it upside down and remove the battery. After that, I want you to start your laptop by only using the power adapter cable. Surely you can use any laptop without plugging the battery. It’s just like using a desktop computer without a UPS (Uninterrupted Power Supply). To make it start, only the power supply is needed. The removal of the battery is also important, or otherwise, the drivers won’t properly uninstall. In case, if your laptop is having some problem to start itself without using a battery, then it’s quite clear that the power adapter of laptop might be faulty too. 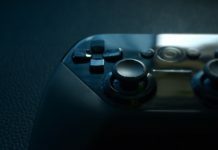 To test that, skip everything and just move to the “Troubleshooting Hardware” part, down in this article. Otherwise, just continue. After when you start your laptop using the direct power supply, it’s the time where you need to open the ‘Windows Device Manager’ by typing the “devmgmt.msc” command in the ‘Run Commander’. Or you just search for the Device Manager in the ‘Windows Start Menu’. 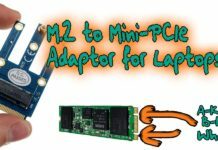 After that, you have to expand the “Batteries” tab and then you’ll be able to see the “Microsoft ACPI-Compliant Control Method Battery” drivers of your computer. As you can see in the example picture given below, I’ve highlighted two different drivers, but you only need to remove the main one, “Microsoft ACPI-Compliant…” which is listed on the second position. To remove that driver, you’ll just need to select it and then right click on it, to unhide the extra options. After that, click on the ‘Uninstall’ button and when the ‘Confirm Device Uninstall’ box appears, just click on ‘OK’ to remove that driver completely out from your computer. When the driver got successfully removed, now again shut down your OS and put the battery back on its place and then again start the laptop. Hopefully this time it’s possible that the problem is gone. If cleaning away the ‘ACPI Driver’ doesn’t seems to help you, in that case, you’ll need to repeat all the above-given steps, for removing the first highlighted driver called “Microsoft AC Adapter” and maybe that will help you. 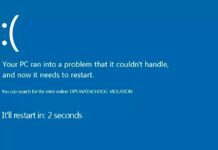 Suggested link: How to Uninstall Drivers From Windows Operating System? #What to Do, If This Problem Still Stays, Or Come Back Within A Week or Month? Usually, uninstalling the drivers won’t work when the problem is coming from the other side of the OS. 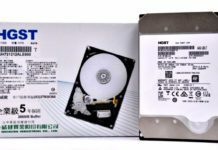 It can be your OS Registry Database which has been cracked lately, or it’s just your OS, which needs to get restore or re-install in some cases. Using the best in class ‘Registry Cleaner Tool’ on your computer is a quick way to fix any registry related issues. 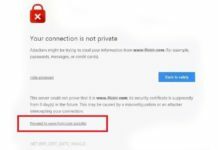 The major reason behind suggesting a tool is because there are thousands of Registries indexed in your Windows Registry Database and it’s really hard to find that which particular one is actually causing the whole issue. You can find more than 50 Registry Cleaner on the internet but those which work are only available in the paid version. So, before spending your bucks, so first, I want you to reset your laptop’s BIOS. If that won’t work either, then use the ‘System Restore’. 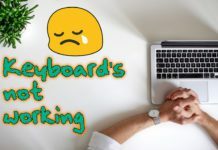 To Reset your Laptop’s BIOS, first, open it by pressing the F2 key or Del key or maybe whatever the key your computer shows on the first black logo screen of its startup to get into the BIOS Menu. After when you successfully get into the BIOS, find the reset option to load the default configuration and mostly you can find that option in the “Exit” tab of your BIOS. How to Reset Bios, Laptop and Desktop Both? If resetting BIOS flops too, then it’s the time when you should use the ‘System Restore’ to reverse certain settings from backup (like drivers, system files, installed programs, and much more). This tool only works when a restore point is created in the past. So, make sure you check for it. Failure is simply the opportunity to begin again, this time more intelligently. Before testing the hardware (mainly battery or power adapter), buying a ‘Registry Cleaner Tool’ or re-installing the OS is also not a prudent judgment. Nevertheless, the problem mostly relates to the OS. But once in a blue moon, your battery or adapter might be the one which is causing this issue. Power Adapter Checkup: It’s not actually your fault when your laptop adapter starts to lack the correct or steady power supply. Sometimes, when a wall power socket of your home/office gets broken from the inside, it’s surely natural to experience a ‘constant power supply problem’. For tuning up your adaptor, you can try to use some different wall socket, just to confirm that the power supply is coming enough to charge the laptop. If any of your friend or colleague is using the exact same looking charger, as your laptop has. Then it’s good to ask for their precious charger. Or otherwise, you will have some problems to properly troubleshoot the adapter’s fault. Checking with a different adaptor is the first thing, what usually a usually professional would do when you bring your laptop to some repair shop. I personally have a ‘Universal Adapter’ of my own, only for these kinds of situations. Anyhow, if you can manage to get a ‘Digital Multi-meter’, then it’s sure that you don’t have to hunt for the specific charger because a Multi-meter can test your own power adapter. To test your charger by using a multimeter, first, you need to find the amount of Output Voltage that your power adapter is producing, just to crosscheck those numbers on the multi-meter. Output Voltage details are mentioned on the back of your power adapter, where everything is written on the sticker, it’s like ‘19V 4.7A’, ‘18.5V 3.5A’, etc. Now plug in the power adapter into the wall socket and set the multimeter’s knob to the ‘20v Direct Current Voltage’ mode. Then next, attach the Red and Black wire into the appropriate sockets. You can find the instructions about wire attachment in the multimeter’s manual book. Thenceforth, insert the red stick tip inside the adapter’s jack and touch the other black one to the outer metal part of the jack. Be careful with both of the metal tips, make sure you don’t touch them together while the power is ON. Now check the Multimeter’s display to see the output voltage coming from your power adaptor. If the voltage looks nearly same as printed on the sticker of your adapter, that means your charger is working perfectly fine. The difference in voltage can be acceptable if it’s under +/-1.5v range. Or otherwise, it’s feasible that your adapter might be faulty. Suggested Link: How To Buy Compatible Power Adapter For Our Laptop? For Battery Checkup: Just like the adapter, the only way to identify it’s a battery’s fault. You again need to borrow a compatible battery only for the testing purpose. Without professional tools, you’ll always have to beg for the compatible stuff. This is at least you can do. Sometimes, even I beg for hardware machines from my friends. Recently my ‘BGA Machine’ got broken down, which I crucially needed in order to reflow a Laptop’s GPU. So, I took the motherboard to my friend’s shop just to get it done. Calibrating the battery may help, only when you experience that your laptop is charging (because you can observe the battery backup), but still the error came along, right after when you insert the power jack. To Calibrate Your Laptop’s Battery Manually, you’ll again have to go into the BIOS Menu and look for the ‘Battery calibration’ option. Then read the on-screen instructions and it will properly calibrate your battery. If your laptop’s BIOS Menu don’t have this option, then you can manually do it by using your ‘Windows Power Options’. But before getting into any setting, make sure you fully charge your laptop (until the charging light gets off). Even though, don’t remove the charger afterward. Then go to your Windows Control Panel (which you can search for, in start menu) and look for the ‘Power Options’. After opening the power options window, click on ‘Choose when to turn off the display’ option from the left sidebar menu. Then click on ‘Change Advanced Power Settings’. Soon after, the “Power Options” box will appear on your screen. Now in the ‘Advanced Settings’ tab, unfold the ‘Battery’ option from the dropdown menu. Under that option, click on ‘Critical Battery Action’ and set ‘On battery’ to ‘hibernate’. Then, click on the 3rd one called “Critical Battery Level” and set both ‘On battery’ & ‘Plugged in’ options to ‘5%’. Now the time comes when you should plug out the charger from your laptop and let it discharge until it automatically gets hibernate. And Please! don’t try to use your laptop while the battery is discharging, or else you’ll disrupt the calibration. When the laptop put itself in the hibernation mode, then you again need to plug back the charger and charge your laptop until it gets done to 100%. Therefore, don’t forget to bring back the old display setting and it will definitely calibrate your laptop’s battery to its normal state. After calibration, only retrieve the display setting from the ‘Never’ pre-set, not the one I told you to put on in ‘power options’. If calibration won’t work either, then get a spare compatible battery from somewhere just for the testing purpose, as I say. It’s also quite possible that your own battery is having some trouble to charge itself. Using the different one can at least clear the doubt. Buy a new battery, when the error doesn’t appear with the other compatible one. And always buy original, if you don’t want to feel anguish about it in future. Now other than reinstalling the OS, now you’ve left with to install a registry cleaner tool. In my opinion, “Zookaware” and “CCleaner” are the two best in class Registry Cleaner Tools available which can actually make things back to normal. It’s all on you to select which one, but according to me, the Zookware is quite worthy because it’s not just a simple registry cleaner and can also provide you more than 4 useful tools to optimize your PC’s overall performance. Not just that, this one also comes with the 60 Days Money Back Guaranty, which is the icing on the cake. Suggested Link: What’s A Good Registry Cleaner and How to Pick One? 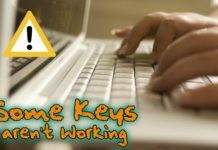 If the curse still lives on in your computer, installing a fresh OS (or Factory Reset) might become beneficial for you. Or otherwise, you can send your laptop to some professional to look at the battery charging section on the motherboard. There is only 1 or 2 percent chance that the error ends up as a hardware problem. But what we can say ‘The worm’s bad luck is the bird’s good fortune’. Elseways, still, there is a 30% chance that the error belongs to the OS and can be fixable, only if you are ready to put some extra efforts. 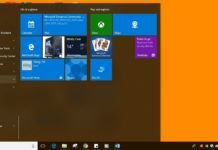 Link: How to Install Windows on Desktop or Laptop Computer? the very first item on the list fixed my problem thank you. Thank you Madhur – first tip worked a treat! I think it’s a hardware fault of your laptop and just like you said you did everything, then now it’s better to send your laptop to the service center. try to do the system restore. Thank you SOOOOOO much! By step two my laptop was charging again:) You saved me so much money… Keep up the good work! Thank you so much. I was scared since I can’t afford a new laptop right now, but the first step worked, and I’m so relieved I’m tearing up. Thank you, thank you,thank you. This is 100% helpful. Sometimes this issue happens because of earthing problem in the power supply of your house. In that case remove the battery and charger, then press the power button for 10 secs. After that connect the battery and charger and turn on your laptop. Thanks man , you are awesome! what is your laptop’s model number and which version of windows you are using on your computer? It’s Alienware m17xr3. I’ve also tried new psu, win7 and win10, on original hdd and new hdd. How it’s possible, even when you’ve changed everything? Did you change your motherboard by yourself? The first one helped my issue. Thanks so much! Thank you so much sir…….i proudly commend you for ur doings. Good Going sir. Thanks.. the first step worked! thanks a lot! My daughters Toshiba Qosmios laptop battery died, I replaced it with a new one, I ran it on battery power first then plugged in the charger, left this overnight, but now the computer states, “12% available charging” but hasn’t moved from there & when I switch off the power supply the laptop goes off. Have tried everything possible, did note that the new power pack has 12 cells while the old one had 6 cells, would this mean that the charger cannot handle the extra power, even though the numbers are the same? some laptops support big battery but some don’t. what your laptop’s model no.? By the way here is the old battery ref; TOSHIBA PA3730U-1BAS DC 10.18V, 87Wh. New SANYO PA3730U-BRS, DC10.8V, 8800mAh. on the site I purchased it from it said it was compatible. Hope this helps, I have mentioned this to them via email & they said they would exchange the battery if faulty, but if it’s a case of cell count maybe I should get them to give me a 6 cell instead. Maybe now you should need to restore your Windows because that also might help sometimes, or otherwise you’ll need to reinstall your OS. Hi Madhur Tj. I use an ASUS ROG G751JY. I am persisting the same problem but the battery is inbuilt. I want to try the first step. Could you please help. Could I remove the inbuilt battery myself? Please reply…. Just try to do all the steps, without taking out the battery. I have done all the steps except the battery removal, everything was ok but the charger showed 19.0V instead of 19.5V. Could the charger be the problem or the battery? I have already done system restore. try to remove the battery first. Hi Madhur. Thanks for your help. I had given my laptop to the service centre and now it’s repaired. But I have noticed a problem. My laptop had a Sandisk 128GB SSD drive which the service centre guys have replaced without my permission. They have replaced it with a different Sandisk SSD drive of same 128GB capacity. My original SSD had a operational power of 1.6A while this SSD has 0.58A. Does that cause reduction in performance? Please help me on this Madhur as I’m in a dilemma whether to place a complaint against the service centre or not? Check your bill’s and tell me about the SDD’s model number which you was using, with the current one. My original SSD was Sandisk x300s 128gb Jan-2016 and the one the service centre guys have installed is Sandisk u110 128gb Feb-2015 model. Please tell me whether this change causes a drop in performance or is it ok? 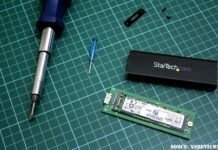 The SSD what they people replaced in your laptop is actually too slow as compared to the one what you bought. I think you should need to complain about it. i charge my battery without start on(shutdown the laptop and i plug the lap and start charging ) and then the battery is full and then i try to start the laptop but it can’t start ,before i charged the battery is work safely and charge ,please help the cause and solution? Hi, Madhur Tj! I would like to ask you something here. The problem is “78% available (plugged in, not charging)”. This problem happens not really frequently, but seldom. I tried to ask the service shop to check what is the problem. They say the adapter has no problem, so I do think that my battery might become faulty. But, I do remind myself that I might spilled water before during leakage from ceiling. Now I dont know, should I change my battery or caused by hardware problem? Mine is hp laptop. To confirm that you’ll have to take your laptop to the repair shop, or otherwise, you can also try to use some another compatible battery. The first step fixed my problem. Excellent tips I repaired my laptop by myself and first tip worked for me my driver was corrupted. try to use some different charger. Agoy, wait a few more moments, and you might see that the capacity of charge has increased. At least, it did for my battery. Loading setup defaults deleted my OS. Had to take it to best buy and thankfully they were able to fix it free of charge. Thank you so much for the detailed instructions, i didn’t think i will be able to fix this problem, i tried several times uninstalling the ACPI driver but it didn’t work then what i did is removing the battery+ uninstalling ACPI driver, then shutdown the pc, removed the charger and pressed the power button for 30 seconds, repeated this 3 times and started the pc, when i connected the battery Windows 7 shows it’s fully charged after it was telling me 10% not charging, the problem is solved. my laptop can’t charge on running state, but charge on sleep state or shuntdown state. What happened ? i really don’t know how to do that bro. Did you tried all the solutions in this article? Hello an thank you for your post. Even though most of the steps worked, they where only temporary solutions. I still have the problem. Maybe you can help me with this: Whenever I start up it says: “Please connect a Dell 65w AC adapter or greater for the best system performance.” Is there anyhing to work with, usig this message? Thank you in advanced. i am using dell inspiron1520-operating system windows xp- what i have to do? Am buying a new battery, hp gave me a quotation of 9700 for battery replacement, and at local laptop repair shop the compatible battery is of 2.5k, and they said that they can also provide a original hp battery with 1 year warranty for around 4k, how is this possible? And are these compatible batteries good? Just check the price online. And just like most of the times, you’ll get the original one at cheap prices. So, just dig the online store and you’ll find it. Laptop works better now, too! It will get install automatically on next system startup. Did you tried all the above steps? Great article except step 1 isn’t possible for my computer. I just bought a new Lenovo ideapad 110. To get to the battery you have to remove the back panel, thus voiding the warranty. This piece of crap is only 6 days old and already have this problem. Hi, I bought a 90w charger for dell inspiron 1545 and it charge the laptop for about two weeks and later, it doesn’t charge again. I bought another one and it does the same thing. I have uninstalled the ACPI complaint multiple times but it is still the same. Tried to change the OS yet? Iv tired everything, nothing worked. i did all the steps. PLEASE HELP!!! every single time I unplug my laptop its dies immititly. looks like a hardware problem. Hi Madhur, my battery is at 0% available (plugged in, not charging) I did the fix #1 but when I went to the battery, I accidently uninstalled everything. I have windows7 on a Toshiba satellite. Can you tell me what includes ‘everything?’ Like a list of drivers name what you remember while uninstalling. Eh sadly none of these have worked for me. I’ve replaced the battery, the charger, uninstalled and reinstalled every driver known to man. Updated my bios to A09 *highest I can*……..nothing. Im thinking my issue is hardware related. AKA the Charger port. As we all know its in a terrible place on Alienware and the charger cord ends up beating the life out of it. Ill check back in next week after I install the new charging port and let you know if it fixes it. Sometimes the Charging Circuit can be the one who’s creating the problem. So, you can check it too. Hello Madhur, I too having problem with my laptop battery. but in my case the battery shows “plugged in and charging” but only 1% or some time it did not charge at all even after getting it plugged in for 10 hrs or more. what will be the possible problem. me too… i have an acer aspire e14, having charging problem. it says plugged in, charging with 6% remaining. but the charging icon (bar) stops after a few seconds being plugged in. its like it froze to 6% plugged in, charging. is this part of the windows problem? im not aa professional and i can only try some but did not work out all. im at my wits end, i guess ill just a prossional look at it. Have tried lots of solutions. Still says “88% plugged in, not charging”. Could it be that the battery temperature sensing circuit is faulty and the charger thinks the battery is too hot? Thinking of putting battery in refrigerator in plastic bag and cooling to 40F to see if it then starts charging. I don’t think freezing it can work. Maybe you should try to use someone else compatible battery in your laptop just for the testing purposes. On boot pressed ESC, F2 for system diagnostics. Did battery test: result “Failure, Replace (42)”. Unexpected. Put in new battery May 2017, bought eBay, mailed from China. Booted, ESC, F2 for system diagnostics. Battery test. Result: Failure, Replace (42). Unexpected. Put in new battery May 2017. Computer now says “Fully charged (100%)”. Strange. And I ordered a replacement battery. What does code (42) mean? Problem solved itself. Received new battery, put in, works fine. Took out; put in old battery, worked fine. Computer locked up on Internet, rebooted, later noticed “88% plugged in, not charging” again. Immediately switched over to new battery, “94% plugged in, charging”. Looks like intermittent problem with old battery. Old battery still gives “88% plugged in, not charging”. Can battery pack be taken apart (how), look for broken wire? Don’t need to do that “Can battery pack be taken apart (how), look for broken wire?”. I tried many of the steps, but it still says “Plugged in, not charging”. Could this be that the battery temperature sensing circuit is not working properly, and the charger will not work if the battery appears to be hot? Thinking of putting battery in plastic bag in refrigerator to cool to 40F, and see if it then starts charging.. Thanks brother. I had same problem in my new lap top machine and now its settled. thank you very much. but my old one not still corrected. It mentioned 35% available (plugged in, charging) but when the adopter is removed from the machine, the machine shut down. why this happened? looks like the battery is dead in your old laptop. Will my the Microsoft AC adapter be automatically reinstalled also? HP laptop charging problem is a very common issue faced by most of the users, but using some tips and tricks you can fix this issue. The battery is old enough and I suppose truly dead in my FS Amilo laptop. I have a dozen new 18650 cells. I wonder, will it work if I replace the six cells myself? Have any tip to avoid killng the BMS chip? Or a link for some useful “how to”? 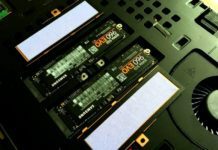 Can a failed/dead graphics card be the reason of battery not charging? The tech repair shop guy told me this..
My laptop model is g51vx he says that the gtx260m graphics card is faulty..
Making you fool I think, if your laptops ICH and GMCH are combined then there’s only 1% possibility that it’s possible. Or otherwise, most of the laptops come with 2 separate chip where the graphics chip (GMCH) isn’t responsible for charging or any charging circuit, but ICH does. I think first you should need to confirm about the charing and power circuit of your laptop and then move on to the big chips. Hi Madhur.I had the same problem with my DELL INSPIRON N4030.So i tried unistalling the ACPI-compliant control method battery.The problem was fixed.After one week it again happened the same and i solved it with same process.But this time its not working.I tried this method several time bt its not working.Plz help. try to use some different OS. I followed the instructions for the first fix, re-started the computer, and saw that my battery was charging again! It looks like it worked, so thank you so much for these instructions. the battery is mature enough and I assume genuinely dead in my FS Amilo workstation. I have twelve new 18650 cells. I ponder, will it work in the event that I supplant the six cells myself? Have any tip to keep away from killng the BMS chip? Or on the other hand a connection for some helpful “how to”? Hello Madhur, indeed you are really great. Thanks so much for this post, have been searching for this for a while and i landed on your site, and following the steps, step one worked for me. really glad. thanks for sharing. have a nice day buddy! HP Pavilion Laptop very frustrated! down to 54% plugged in not charging did everything. Also half of my numbers key pad is out as well as my delete button. no spills or damage to laptop. About to toss it out window! Thanks for sharing the best and useful information with us. You made a good site and giving us such a great and useful suggestions and information on this topic. It was nice to read this article about how to fix laptops. I think that my laptop needs more repair than the stuff you have mentioned, though! I am going to look for a computer service near me to help me with this. If it’s really a hardware components problem, as the engineer said. It’s better, not to deal it by yourself.